Months ago I (Derek) had the idea to feature a regular column in which I make one of Disney World’s official recipes and blog about my experience. Clearly I dropped the ball on that one. But, last weekend I finally got back in the kitchen, did a bit of web browsing, and found a recipe that looked simple and delicious – a win-win! In case you don’t know, you can ask for and receive the recipe for any dish you eat at Walt Disney World. Judging from what I’ve seen on the Disney Parks Blog, some of these treats require ingredients I wouldn’t know where to begin to find, but I searched specifically for snacks I knew I would be able to tackle. 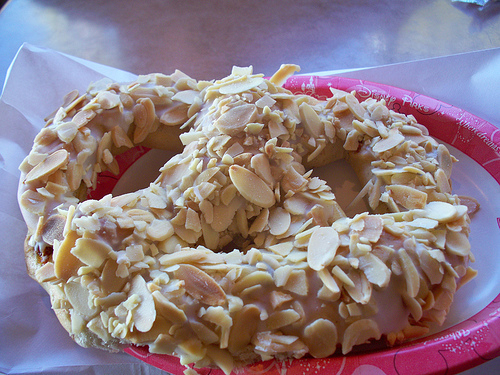 Which brings me to today’s food item: the sweet pretzel with almonds from Kringla Bakeri in the Norway Pavilion at Epcot. I know, I know, I chose a recipe from Norway that wasn’t school bread? What was I thinking?!? To be honest, I felt too lazy to buy cardamom and look for vanilla custard. But rest assured; the incredible goodness that is school bread is still at the top of my list for snacks to make at home. Now for the pretzel. Here’s the recipe I used. 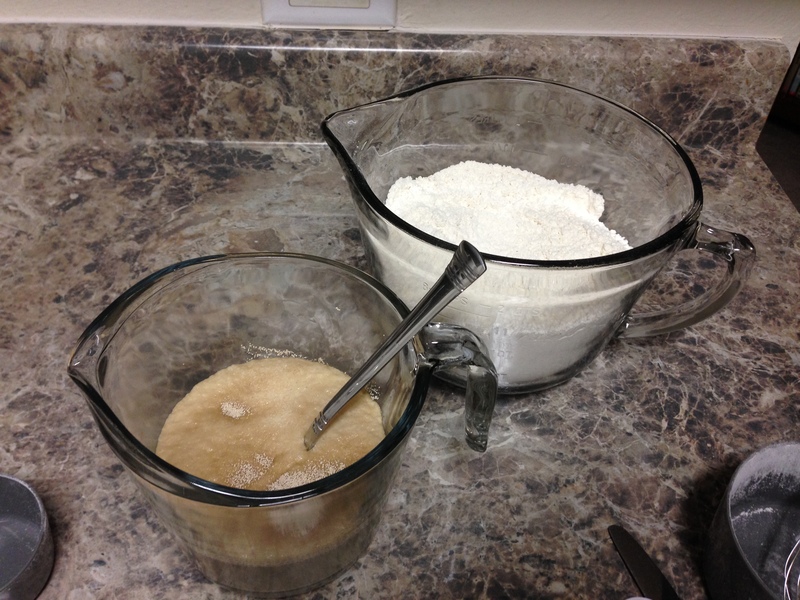 I began by allowing the yeast to activate in one bowl while I mixed the dry ingredients in a separate bowl. 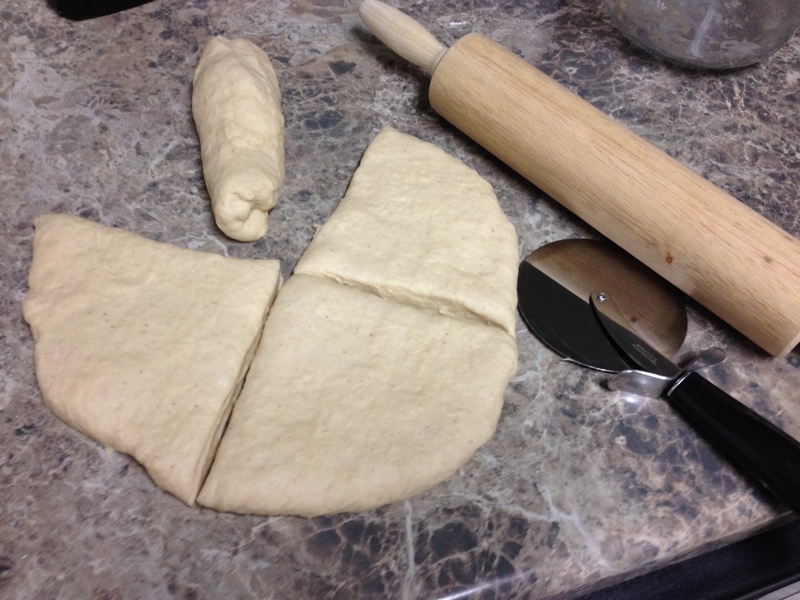 After mixing the dough and allowing it to rise, I flattened it out and divided it into four sections. 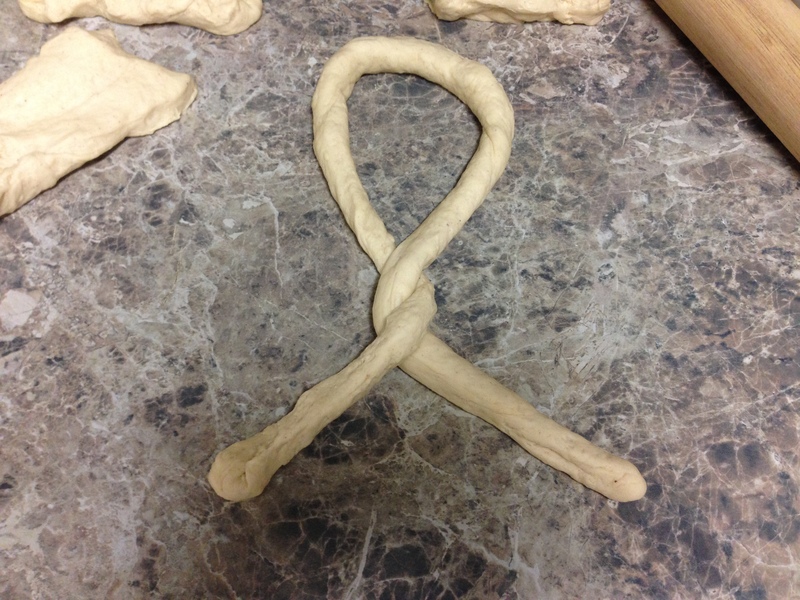 When it came time to roll out each section and form a pretzel shape, I froze up. What’s a pretzel look like again? Enter YouTube, the how-to capital of the online world. 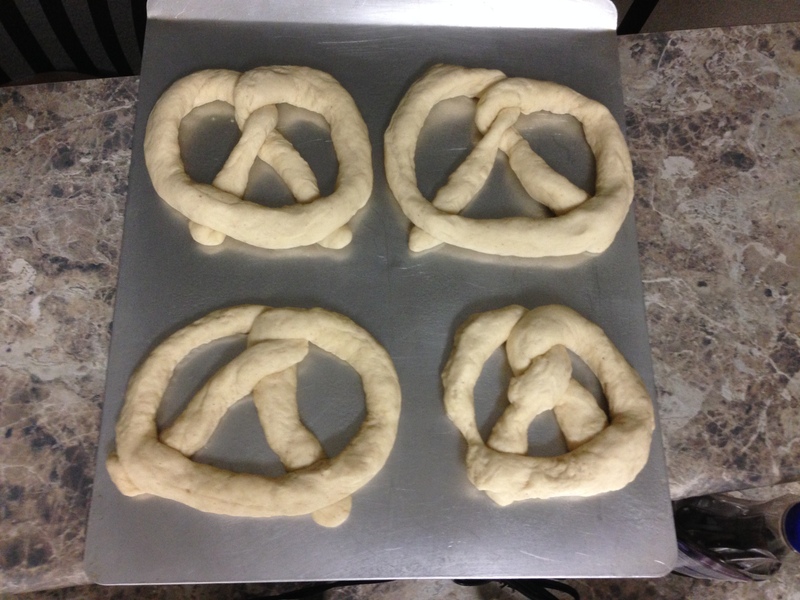 After watching a short video, I was able to make what I thought were pretty decent pretzel shapes. That is, until they plumped up in the oven . . . But no worries. 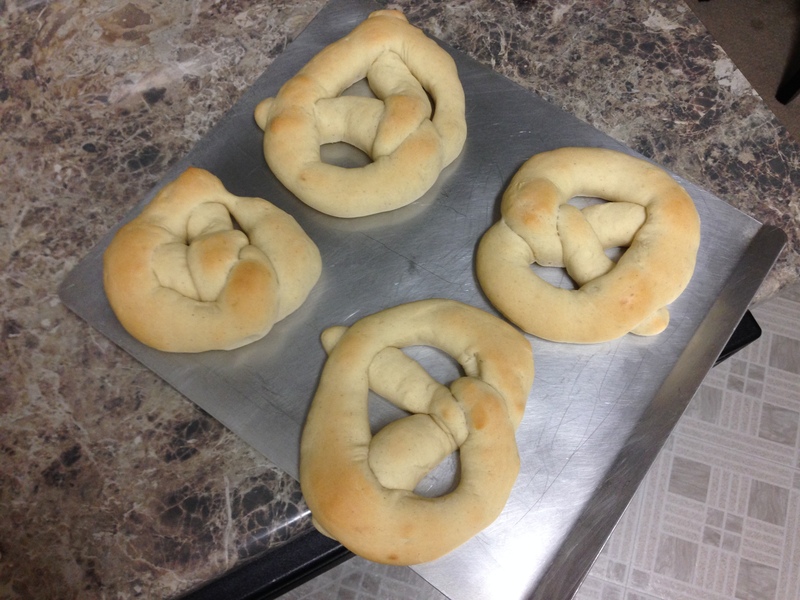 I was confident my poor pretzel-shaping skills would not affect the taste. 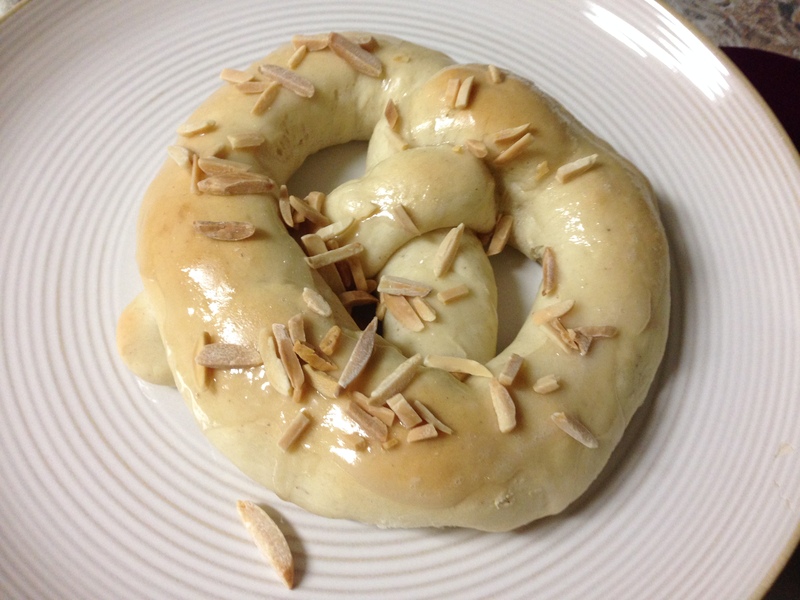 For reference, here is the actual pretzel I was trying to recreate. Actually, despite the disfiguration of my pretzels (and the picture above was the best one! ), they did taste quite good. The texture was as a pretzel should be: dense and soft. More cinnamon and nutmeg – One eighth of a teaspoon? Really? 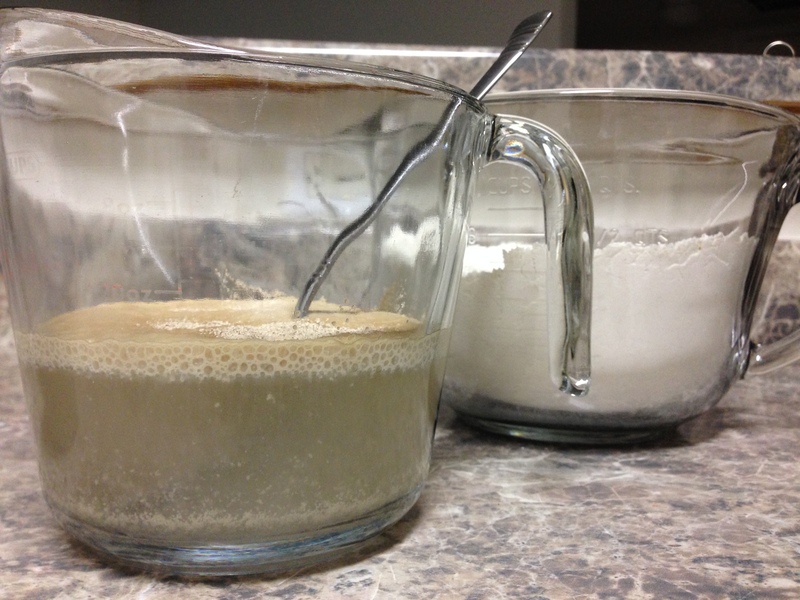 These two ingredients completely disappeared the second I incorporated them into the flour. Next time I will add a teaspoon of each instead. More icing – Besides making the icing thicker, I’ll make more of it too. The icing is the money-maker, but it barely had a presence on the pretzels I made. Disney snacks should be left to the Disney pros – Were my pretzels good? Sure, they were fine. But making a snack, any snack, at home is just not the same as eating it on Disney property. But don’t worry. That won’t stop me from going back to the kitchen for more Disney baking and cooking, and I’ll be sure to share my experiences right here on madchatters.net.